As one of the top custom home builders in Cincinnati, we are grateful for your consideration. Please use the form below to contact us. We look forward to helping you. Cincinnati custom home general questions, clients, contractors, realtors, suppliers and local business inquiries only. No solicitations for marketing, phone systems, SEO or any solicitation please. We will respect and do the same for you. Here are some suggestions from experts to consider when choosing a top custom home builder. Focus on quality first. A custom home isn't a temporary residence. Make sure the builder you choose has deep experience creating quality homes with quality resources. Do your research. Visit homes built by all the top custom home builders that you are considering. Transparency is critical. Make sure you feel you can trust your custom home builder. Are you comfortable with them as a partner. Ask your friends and associates who they would recommend or have used in the past. Make sure your communication styles work well together and that you feel comfortable asking questions. Since 1985, we have been building strong and trusting partnerships based on doing what’s right. At the end of the day, you have one life. What matters most is playing catch with your kids, enjoying family time in your living room or gathering friends for dinner in a home that is 100% your vision. Whatever matters most to you, we have the experience and know-how to get you there and to ensure you enjoy the journey along the way. Our pledge to you is our Platinum Building Experience. Let’s Build What Matters. Since 1985, the Hensley team has been building strong and trusting partnerships with clients, based on doing what’s right. At the end of the day, you have one life. What matters most is playing catch with your kids, enjoying family time in your living room or gathering friends for dinner in a home that is 100% your vision. Whatever matters most to you, we have the experience and know-how to get you there and to ensure you enjoy the journey along the way. Our pledge to you is our platinum building experience. Like our work? The best compliment you can give is a great review on Google. 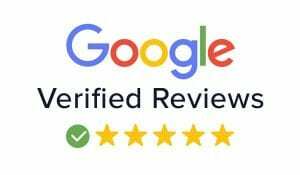 Share your Google review here.